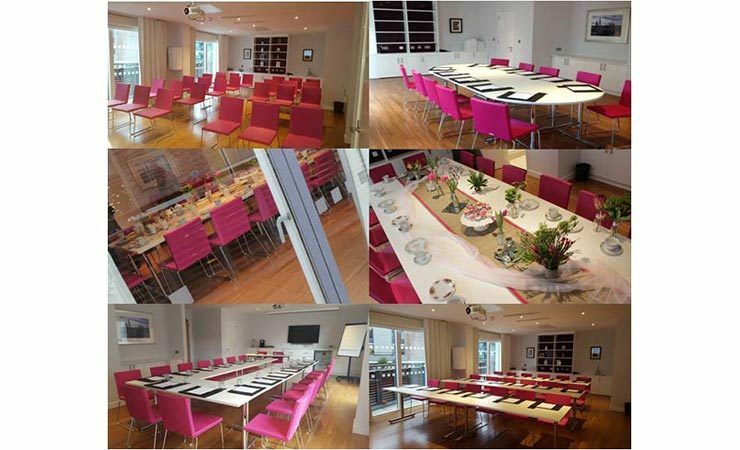 Meet Abbey – Bermondsey Square Hotel’s state of the art meeting room. With lots of natural daylight and access to a shared outside terrace, Abbey can accommodate up to 30 and has all the latest technology you need for a productive and successful meeting. If you’re looking for an informal space, the hotel’s new ground floor lounge offers a relaxed environment for interviews, smaller meetings or an area to simply catch up with colleagues or friends. You can enjoy complimentary breakfast tea and filter coffee between 11am-5pm every day or help yourself to home-made cakes and pastries from the Pantry. For something a little heartier the Kitchen offers a fantastic British inspired all day menu. Bermondsey Square Hotel also has four beautifully appointed Loft Rooms with rooftop terraces and views of London’s skyline from Canary Wharf to the London Eye and Houses of Parliament. These are named Ruby, Lily, Jude and Lucy, after iconic 60s songs to reflect the subtle style reference throughout the hotel. These unique rooms make gorgeous settings for interviews, filming, small and intimate gatherings for up to 12 guests. For more information please contact [email protected] or call 0207 378 2450. Bermondsey Square Hotel also offers an outside catering menu of cakes and sandwiches for Bermondsey business meetings and parties of five or more people.